Why share a single Zip Code with dozens of competing professionals? With USHUD you are the ONLY real estate agent or loan officer presented to the home buyers. The USHUD cooperative never shares, rotates or presents more than one real estate agent to the home buyers. Our aim is to create more business for the exclusive professional and remove any confusion for the home buyers. 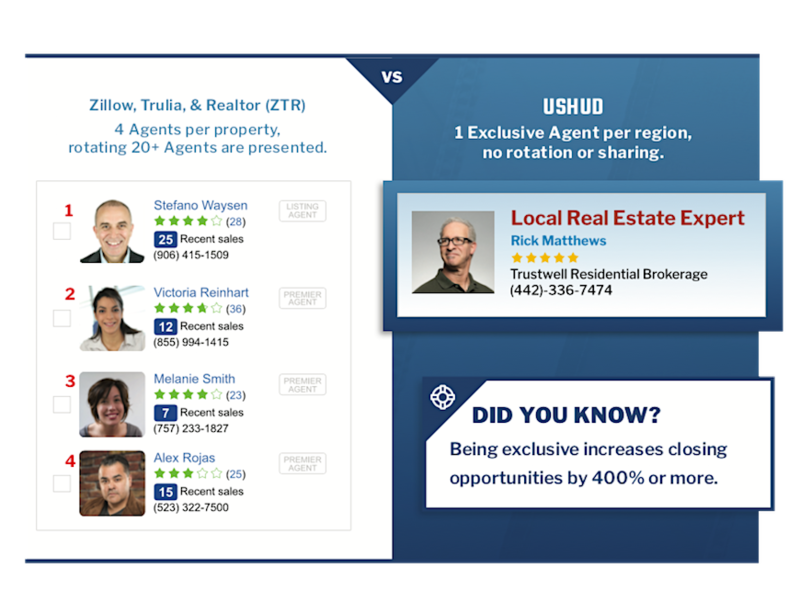 Providing exclusive representation allows USHUD members to generate a significantly higher ROI than sites that provide numerous real estate professionals in the same geographic area.